Consumers want to structure deals online before arriving at the dealership. 56% like to start the negotiation on their terms and 45% like being anonymous to the dealer until they lock in a deal. This points to an opportunity to increase trust in the dealer—car shopper relationship by using tools like Kelley Blue Book’s Price Advisor and Instant Cash Offer to validate pricing. Test-drives will still play an important role in the future. In fact, 88% of consumers said they would not purchase a car without test-driving it first, yet 81% of consumers prefer a different test-drive experience than the traditional accompanied test-drive model that predominantly exists today. An overwhelming majority(70%) of consumers said that when it comes to F&I, they want to start the process online. Allowing consumers to research F&I products on your website could not only shorten the time spent in the dealership to complete a purchase—which is a top frustration among car buyers—it could also increase customer satisfaction. 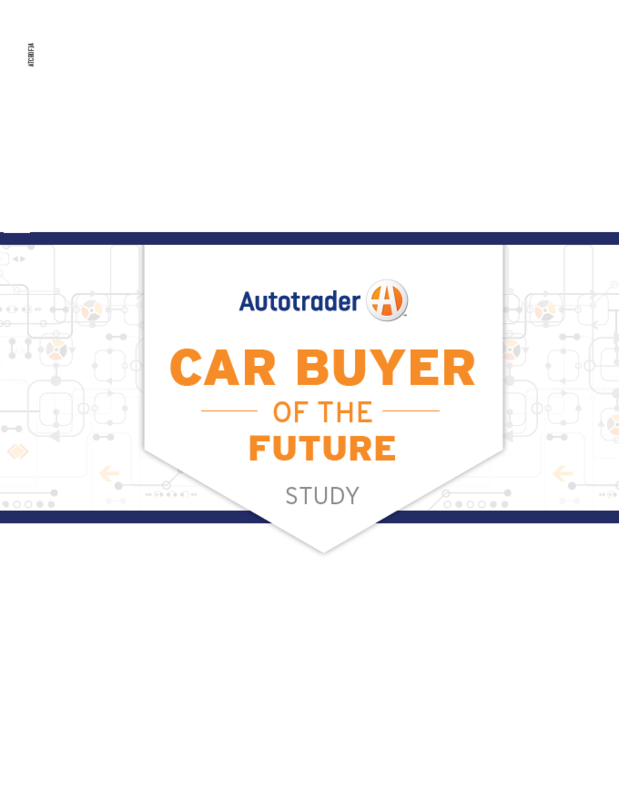 According to the findings of Autotrader’s Car Buyer of the Future Study, only 17 car shoppers and buyers out of 4,002 — that’s less than 1% — chose the current process as their ideal experience. But there is good news for the automotive industry because the study identified key areas where consumer demand is influencing rapid change, as well as important insights about how improvements in the car-buying process can benefit the industry. See the insights in this brochure to understand what changes consumers want to see in the car buying process & what you can do to address their needs.